Three pedals in one package for the price of two. 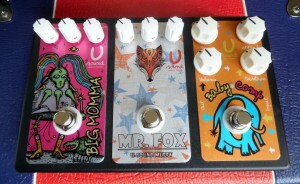 The newest pedal Mr Fox - overdrive / distortion for hard rock. Shipment 3-4 days after payment.